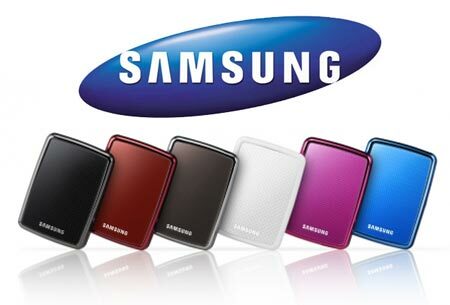 The Samsung hard drive division was purchased by Seagate in April of 2011. Samsung 2.5 inch laptop Spin Point drives and 3.5 inch desktop hard drives have been reliable storage media for decades. We have discussed throughout our website that all drive manufacturers build high quality storage media. However, all drives will fail eventually. When a hard drive fails they usually have a specific failure that is unique to the family of hard drives. There is a common Samsung hard drive data recovery failure in the Spin Point 2.5 laptop drive that hinders the heads from making it back to the parking clasp. The hard drive spins down quickly because of minor spindle friction and the heads land on the platter’s surface. While this fault typically destroys the read/write heads it generally does not damage the platters. On the positive side of this fault, if there is such a thing, the heads are parked on the platters thus the hard drive cannot spin up. Therefore, no additional scratching or scoring to the platters will occur. 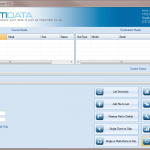 If the drive is sent to a capable data recovery company the chances of recovery are very high. 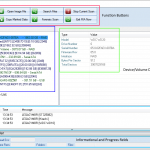 Samsung 3.5 desktop hard drives have different failures. In many cases the service area of the hard drive becomes corrupt. The service area is a vendor reserved area where all the vital hard drive information is stored on the platter’s surface. This area must be read each time the drive is turned on in order for the drive to work. This area contains program overlays, head maps, tracks and defect lists that can become corrupt or filled for many reasons. This type of failure is very common for Samsung hard drives. The service area of these drives may become so corrupt that a donor drive of the same family and firmware revision has to be harnessed to load a similar service area map into memory in order to gain access to the failing drive’s service area. Again, there is a silver lining within the failure; Samsung hard drives with this fault have a very high data recovery rate if it is sent to a competent data recovery engineer. 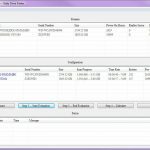 A handful of data recovery companies, including DTI Data recovery, have qualified Samsung Hard Drive Data Recovery engineers proficient in this type of recovery work. This type of recovery requires an understanding of how drive operations work. There are correlations between lists and program overlays that work in unison to translate data from the platter surface. Another fault that is less common but worth mentioning is corrosion to the Printed Circuit Board (PCB). In some instances the Samsung PCB will be noticeably corroded. In these cases it will need to be cleaned with the appropriate chemicals and the circuitry’s contact points might need to be re-soldered. Since Seagate purchased Samsung, we are sure we will see new revisions of Samsung labeled Seagate drives with new faults. Should you need Samsung hard drive recovery or any type of data recovery service our decades of experience will serve you well.